Herders in northern Kenya who suffered large cattle losses during recent droughts are to be offered livestock insurance in a pioneering project that uses satellite imagery of available grazing to determine when payouts occur. 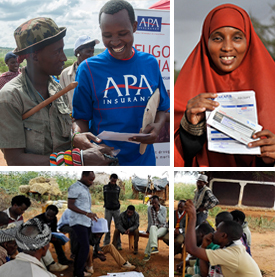 The scheme, billed as a world first by the International Livestock Research Institute, is being launched today in the arid Marsabit district. 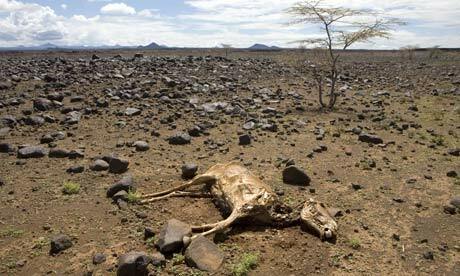 Pastoralists in Marsabit keep more than 2m cows, camels, goats and sheep, worth an estimated $67m, but currently have no way of rebuilding herds decimated by starvation because of the lack of the grazing after rains fail with increasing frequency. “Insurance is something of a holy grail for those of us who work with African livestock, particularly for pastoralists who could use insurance both as a hedge against drought – a threat that will become more common in some regions as the climate changes – and to increase their earning potential,” said ILRI director general Carlos Seré.